Superb Condition, Serviced here at Galpin, Originally Sold at Galpin, NEARLY New VEHICLE AT USED Car PRICE. XLT trim. 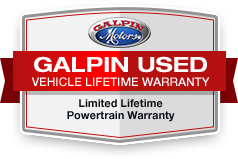 Serviced here at Galpin, Originally Sold at Galpin, NEARLY New Car AT USED Car PRICE.